Today I’m saying something out loud that I’ve been thinking for awhile–I’m committed to my growth. One of the many ways I’m honoring this commitment is by spending less time on the internet and attached to my phone. It doesn’t mean I don’t like you, my fabulous cyber friends, but the more I look, listen and learn, the more I realize that the internet isn’t the best place to spend my time. Let’s be honest–a lot of bullsh*t goes on over there–a lot. 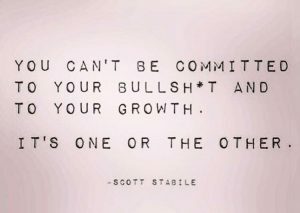 So, I’ve decided I’m not committed to my bullsh*t. Instead I’m committed to my growth. It means I’ve watched my writing productivity sky rocket when I prioritize deep work over shallow work. Read DEEP WORK: Rules for Focused Success in a Distracted World by Cal Newport if you want more information about what that entails. I’ve also realized that I love this blog and very much enjoy writing it–when I organically have something to say. But, if I have to spend too much of my quality writing time and family time thinking about what to pen–I probably didn’t have to struggle with a post that day. And I don’t need to apologize for it. If it was that hard to write, then you probably didn’t want to read it anyway. It’s come to my attention lately that when I’m too engaged in social media, I feel the need to have opinions and give commentary on things that really aren’t my business. This is especially true in this political climate. The truth is, I never walk away, from minding other people’s business, feeling welcome or believing I made positive change. In fact, I usually feel anxious and frustrated–occasionally a little sick to my stomach. And internet trolls are horrifying. I’ve decided I want to limit my exposure to that kind of stuff. And then there is that insane addiction going on where you can’t talk to a person without them having their face in their phone. It’s so disheartening when you’re at a restaurant and their right in front of you on FB. Or your having a conversation with someone and you lose the face off. But, since I’m more dedicated to trying to mind my own business, I’m not going to talk more about what kind of bullsh*t that is. I’m just going to say that I don’t want to be that person. I can’t change them and I’m aware of that. But I don’t have to be rude–that’s my choice. I want to be a listener. I want other’s to feel valued when they are around me. And I’m also trying to stop using my phone as a mental pacifier. I used to be able to be with myself for more than 30 seconds without needing to be entertained. How can I grow when I’m not thinking? When I’m not day dreaming? And putting my phone away is another opportunity to pull out a book and read! And then there’s the hype about needing a crazy social media presence. And I hate to admit this… there are a ton of fabulous authors that blog and do crazy social media–and I read their posts and follow them–but I’ve never bought or read their books. Do you see what I’m declaring here? I’m still going to be on social media, write a blog, have a smart phone and adore my laptop. But I need to make sure that I’m functioning like an intelligent human being. I need to use these things as tools. I do not need to let them use me. I must be sure they aren’t ruling my life. Instead, I have to be running the show and doing productive things that matter. Today I’m taking another step towards balance and sanity. 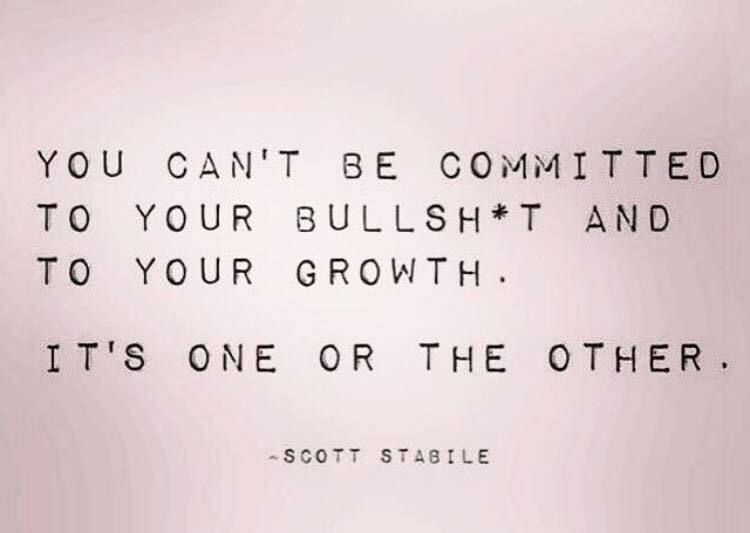 I’m committed to my growth. Share your thoughts if it resonates.